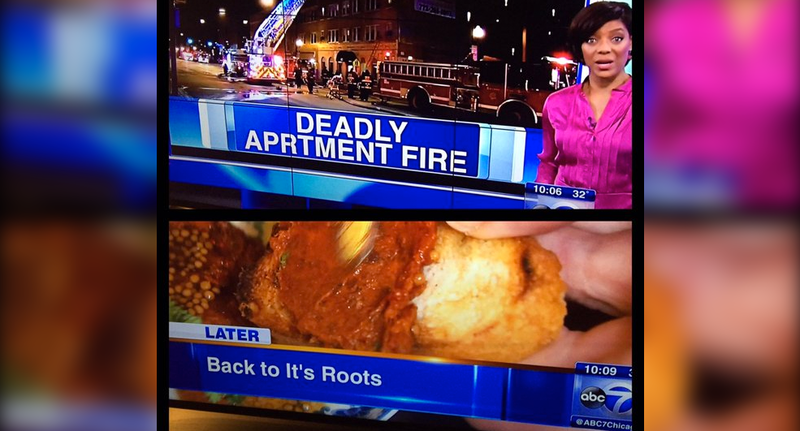 Chicago’s WLS-TV made two big typos in on air graphics over the weekend — one case of a spelling error and another of a misplaced apostrophe. The two typos happened within minutes of each other, reports FTVLive, and included misspelling of the word “Apartment” in an OTS graphic and the wrong “Its” used in a lower third tease. The station has fallen victim to some embarrassing typos lately, including “creating” a five hour traffic jam and “moving” the state of Maryland.